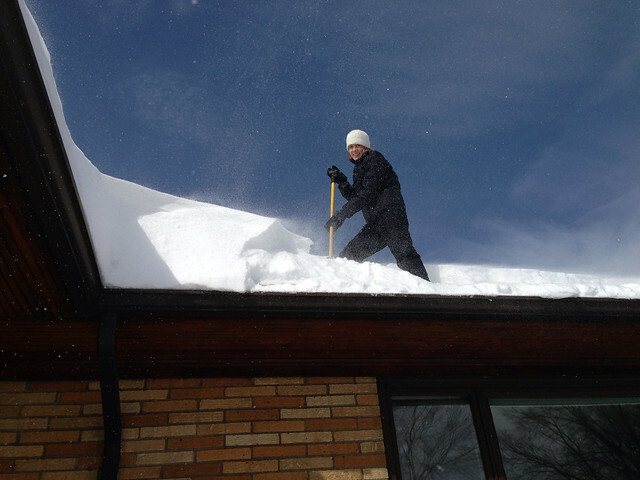 There were no gold medals, no world records and no opening or closing ceremonies, but we did have our own Winter Olympics this past weekend in our backyard and front yard and even from our rooftop. 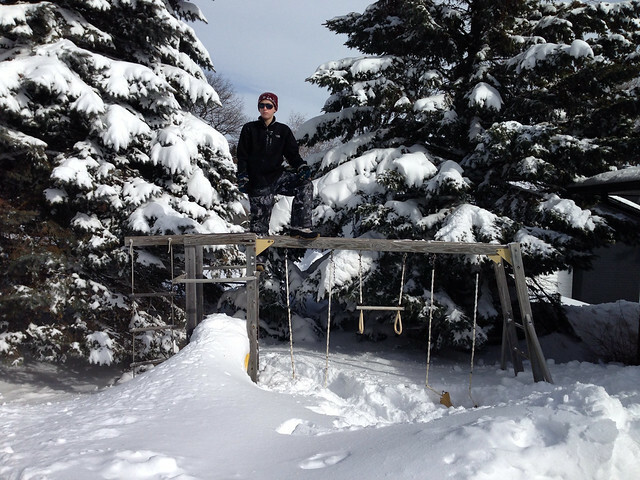 When mother nature gives you snow, what do you do? 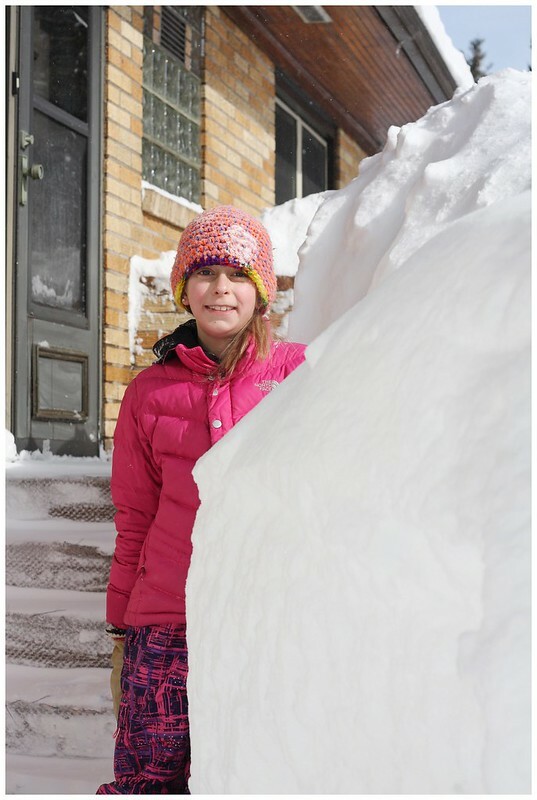 Our latest storm gave us over 15″ of snow. We had plans to take a mini ski vacation to Giants Ridge while the kids were on winter break last week, but with the “blizzard” predictions, we changed our plans and stayed in Duluth to ski at Spirit Mountain. The white out conditions caused Spirit Mountain to close at 4pm which was probably a good thing. We got home before the worst of the storm hit. 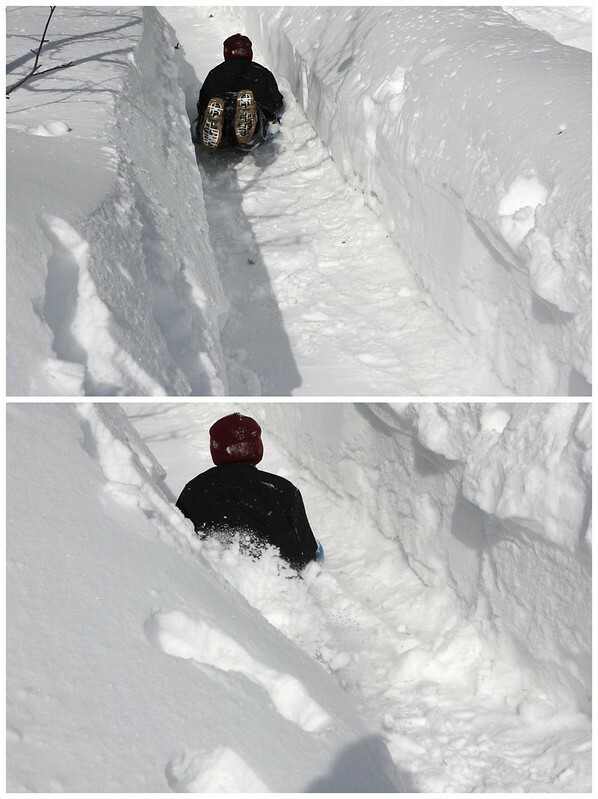 By the next morning, drifting snow buried our driveway, sidewalk and everything else. 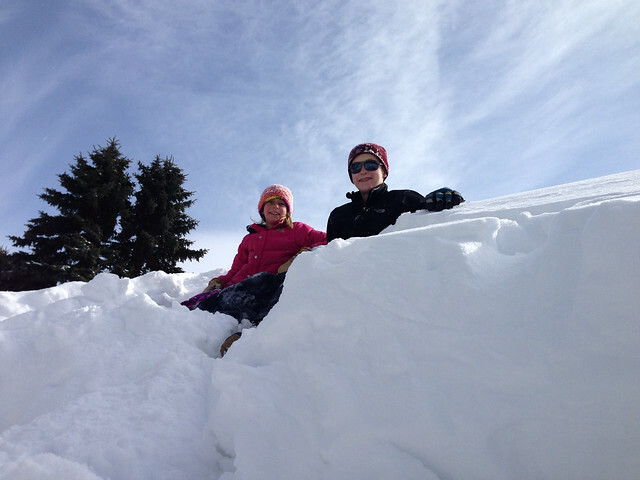 As a family, we ventured outside and began digging out. 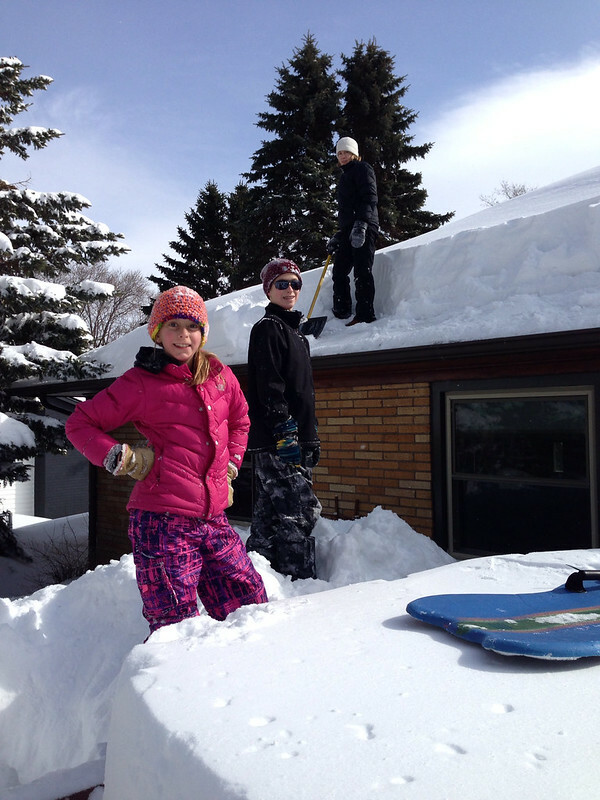 After most of the work was done, the kids decided to have a little fun. Out came the snowboards and sleds and our mini Olympics was underway. 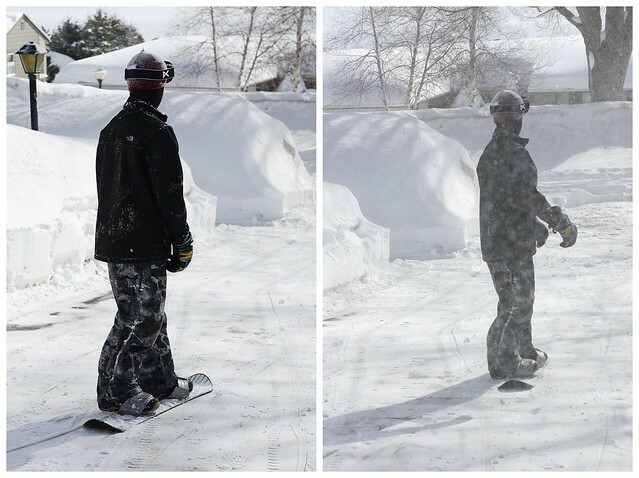 After a quick photo next to the tunnel that leads to our front steps and door, we moved to the backyard snowboarding course. After the jump and digging out. 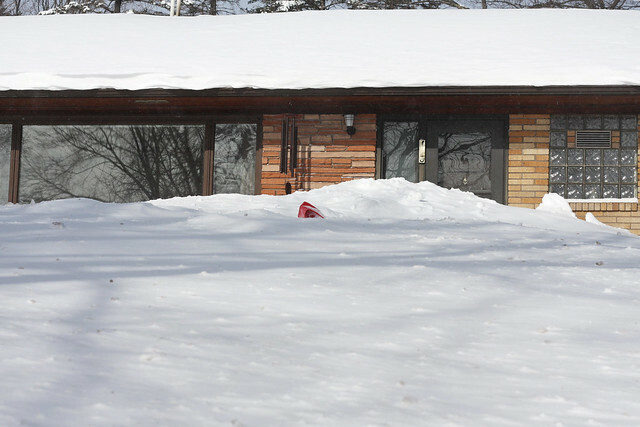 The snowman that was created back in December has not melted, but is nearly buried by snow. 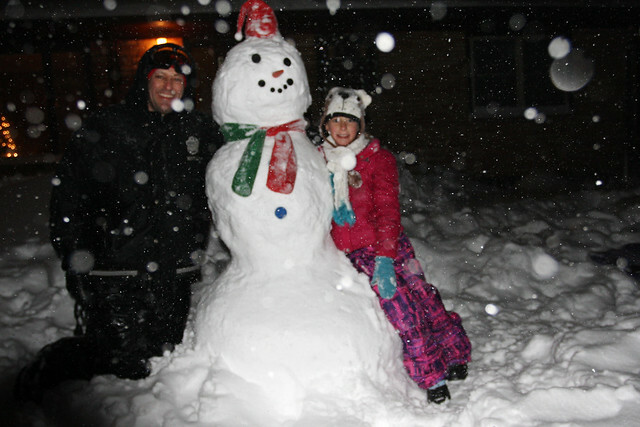 Here he is during the early December snowstorm when Mike and Sophia made him. Here he is now…or what is left of him. Look for the tip of his red hat. 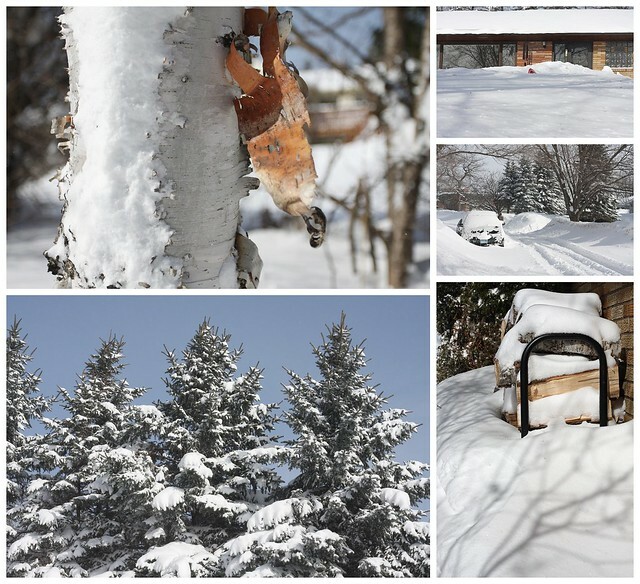 One final collage of the snow cover. Subzero temperatures are in the forecast, but no snow…for now. We had a great day despite all of the hard work. I really don’t know what we will do if we get anymore big snow storms. We’re running out of room! Thank you Sophia! It was a fun day! !